A Turkish court on Friday rejected a recent ruling by the European Court of Human Rights (ECtHR) ordering Turkey to release Kurdish politician Selahattin Demirtas from lengthy detention that many see as politically-motivated by the government of President Tayyip Erdogan. The European court said in its ruling that Demirtas’ civil and political rights were violated as the Turks held him for political reasons, a situation which forced him to campaign from behind bars as a rival candidate to Erdogan in the June presidential and general elections. His defense team argued that Turkey was obliged to abide by the top European court’s decisions per the 46th article of the European Convention on Human Rights and the 90th article of the Turkish Constitution that upholds international treaties the country had signed over domestic laws. 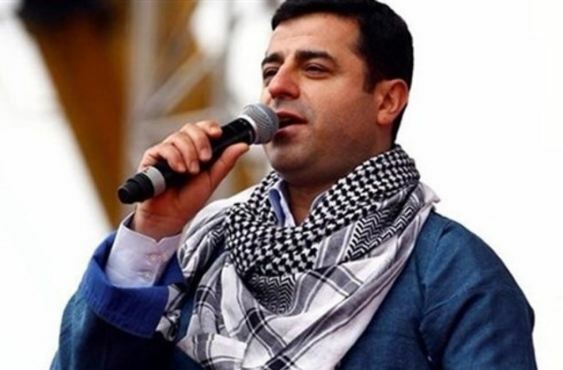 In a statement, pro-Kurdish Peoples’ Democratic Party (HDP) which Demirtas previously chaired said Turkish courts were under orders and pressure from Erdogan who vowed to keep his once-rival imprisoned. “This decision is not lawful but rather political as has been the case with all detentions targeting our party members, including lawmakers,” the HDP said, adding it was a clear violation of the Constitution and the European Convention on Human Rights. “Ankara court defies European Court ruling, doesn’t release politician Selahattin Demirtas. ECtHR verdict said Turkey had ‘ulterior purpose of stifling pluralism & limiting freedom of political debate’ in keeping him locked up. Seems Turkey doesn’t deny it,” Human Rights Watch’s Turkey Director Emma Sinclair-Webb tweeted in reaction.